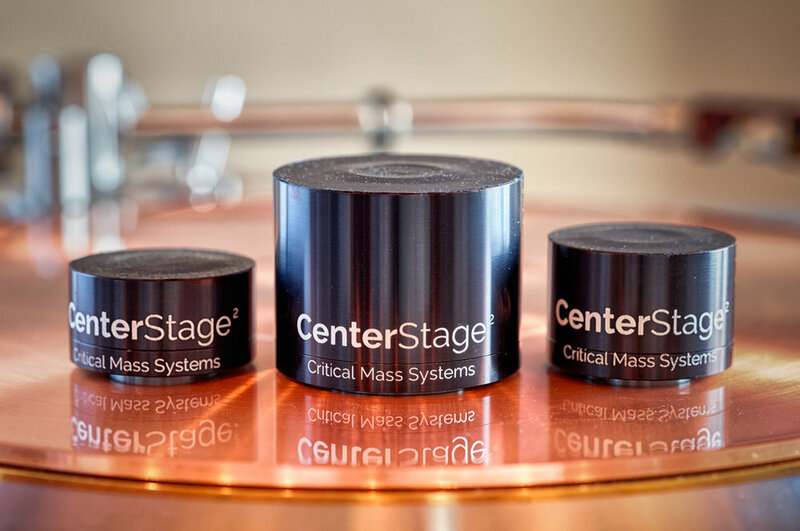 "eigen mode: one of the normal vibrational modes of an oscillating system"
We are an authorized dealer for the Critical Mass Systems Center Stage2 Footers - please contact us for more information on these exceptional vibration management devices. Von Schweikert Audio has been a leading designer of high performance speakers for over three decades. Their line of speakers covers a broad range of applications and price points delivering great value across the entire range of products. Critical Mass Systems racks are not isolation systems as they do not prevent the transmission of vibration. Rather, the filter system manages the flow of vibration into and out of the component as well as the rack architecture supporting it. MasterBuilt Audio Cables are engineered to deliver amazing transparency, immediacy, and neutrality, neither taking away nor adding anything to the source material. Aurender provides leading class performance media servers and streamers with fully integrated hardware and software that make setup and management simple and easy. More product lines coming soon - stay tuned!